The June 20-21 Midsummer British Empire & Foreign Countries auction held over two sweltering days at Grosvenor in London achieved a fine total realisation of £415,711. 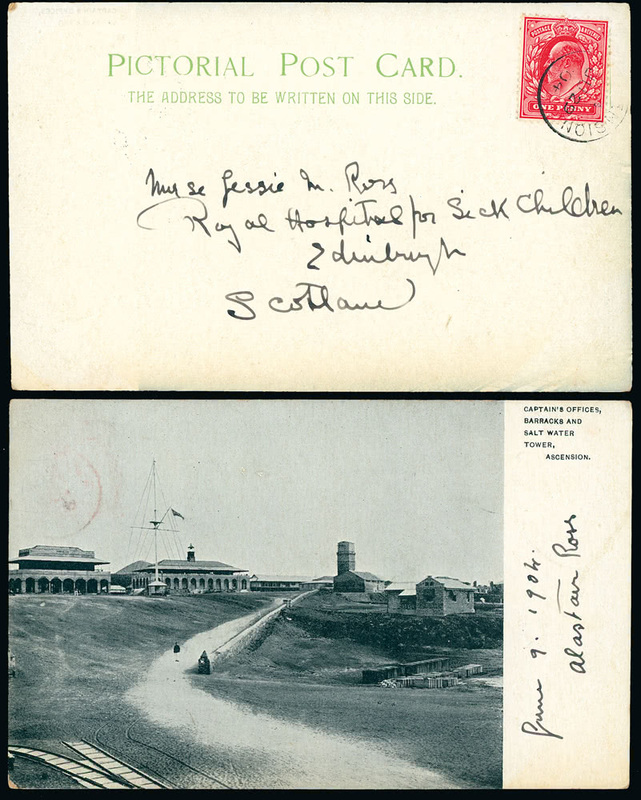 Determined competitive bidding lead to a number of striking results and record prices, most notably those for a series of recently discovered postcards sent by two members of the 1902-04 Scottish National Antarctic Expedition, taxidermist Alastair Ross and zoologist David Wilton, en route to and from the snowy wastes. 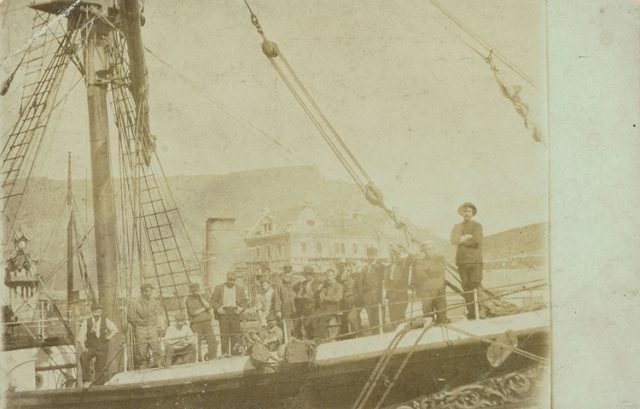 A unique photographic card of members of the expedition on board the “Scotia” in Cape Town (lot 734) climbed to £2,333 whilst the only recorded card sent from Ascension on the return journey (lot 736) soared to £8,350. 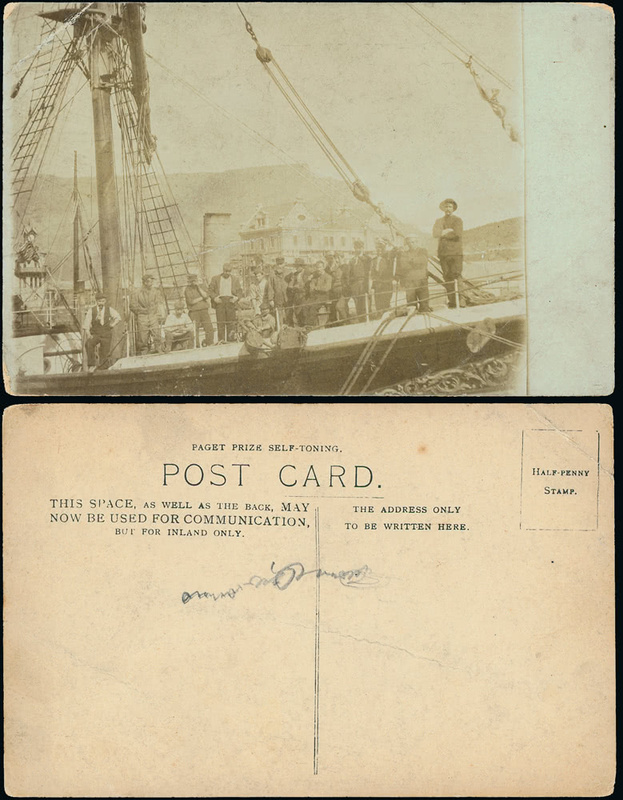 A strong offering of Canada and Newfoundland, featuring material from the collections of Mel Doyle and J.S.P. Wilson, was well received on both sides of the Atlantic and beyond. 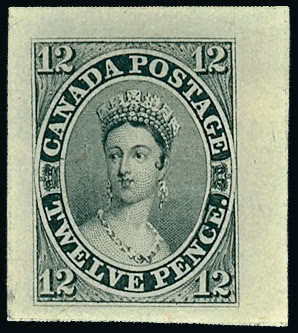 Amongst a fine range of proof material a ‘scar’ die proof of the popular 1851-59 12d. black (lot 308) achieved £2,856 whilst a rare set of eight die proofs of the 1922-31 issue (lot 419) rose to £6,902. 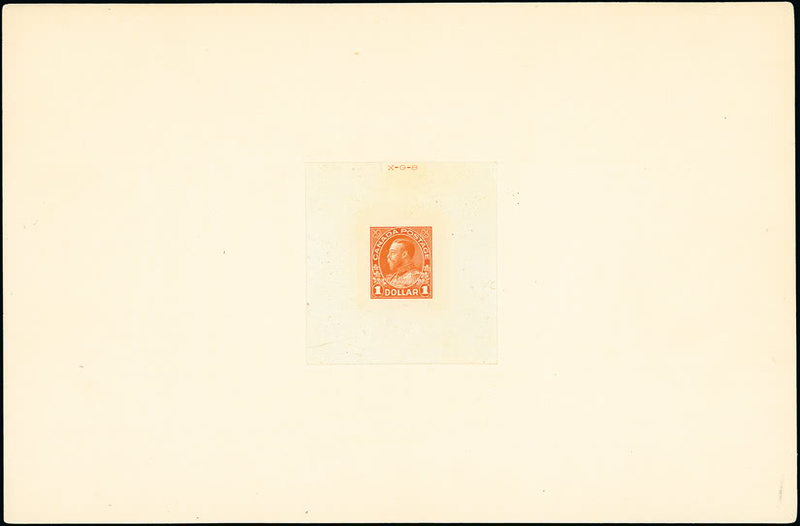 Not all countries had their strongest day and a pattern of change in the market can be seen, leaving behind many of the ‘standard’ stamps and covers once regarded as reliable sellers. There were nevertheless many notable prices achieved for the unusual or exceptional. 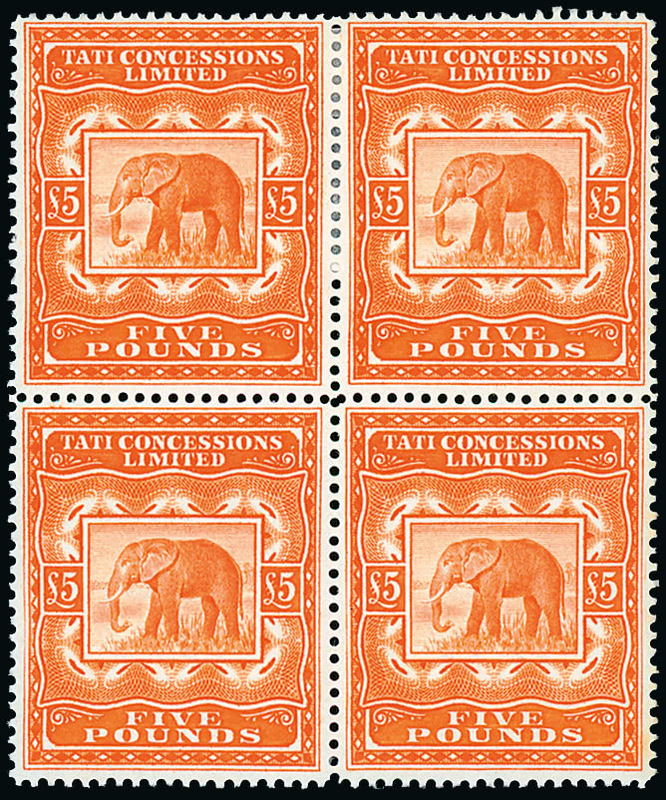 A handsome set of the Bechuanaland 1895 Tati Concessions in blocks of four (lot 182, left) reached £3,856 and, taken from the attractive collection of Irish Seahorse issues formed by Prof. Arthur Weston, the 1935 Re-engraved 10s. 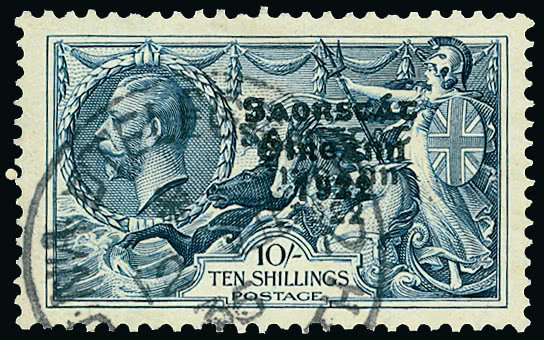 with overprint double, one of just three known used examples (lot 972) realised £3,213. 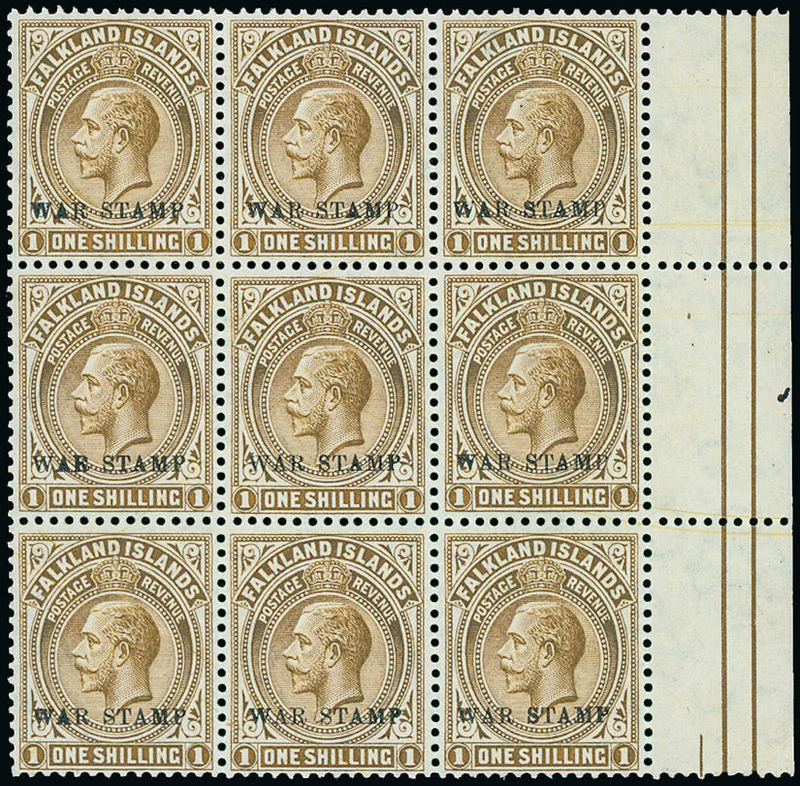 Elsewhere, in another interesting offering of Falkland Islands & Antarctica, a block of nine of the 1918-20 “WAR STAMP” 1s. 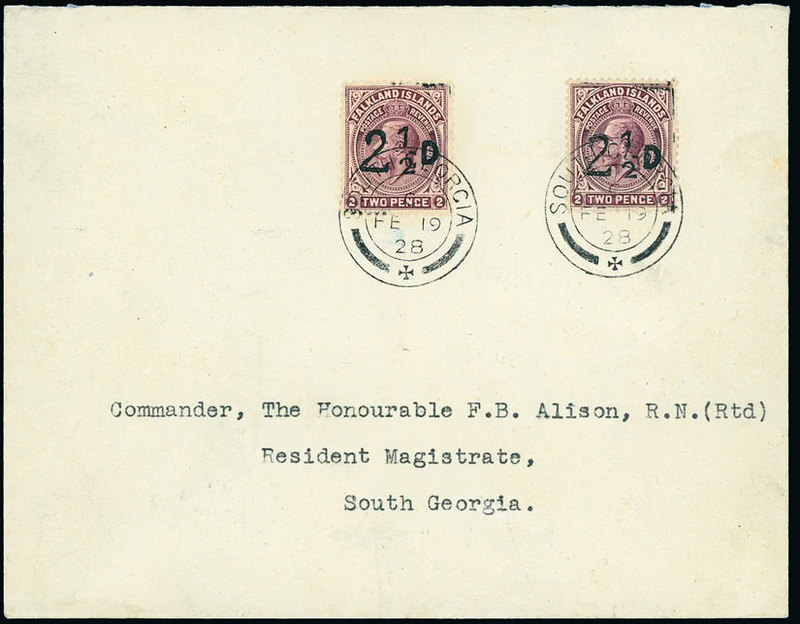 deep brown on thick greyish paper with watermark inverted (S.G. 72bw) realised £1,781 (lot 571) and an attractive cover bearing two examples of the 1928 South Georgia provisional stamp (lot 703) reached £2,737. Prices quoted include buyer’s premium and taxes. Full listings of prices realised at each auction may be downloaded from the Grosvenor website www.grosvenorauctions.com. Contact Andrew Williams or Tom Margalski at Grosvenor for further information.